In-order to sell your business in foreign markets, you need to speak you client’s or customer’s language. Perfect communication or ideas translation will make your customer’s understand your business needs. Major activity is outsourcing and most of us would like to outsource our needs to skilled outsourcing companies. Outsourcing companies translates Bangla to English Translation Services or English to Bangla Translation Services with expected accuracy. Bangla is a language spoken by Indo-Aryan people. Bangla is a language derived from Sanskrit and appears similar to Hindi. Quick Transcription Service offers Bangla Transcription and Translation Services. 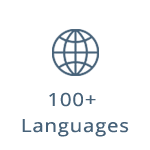 To know more details about our language translation, visit our Language Translation Services. Quick Transcription Service is athus serves as is a one stop solution for all your Transcription to and Translation needs. ✓ Do you translate audio files from English to Bangla? ✓ How can I receive a Bangla translation to English? ✓ Where can I get a certified translation service for English, Bangla? ✓ How can I get a translation from English to Bangla? ✓ Where can you find an audio translator to translate Bangla to English online? ✓ What can I find services that provide the best Bangla translation & voiceovers? ✓ What are the rates for translating English to Bangla? ✓ Where can I find a language translator from English to Bangla online? ✓ Where are the translating companies that have services to translate Bangla movies? ✓ How can you find a Bangla translator & translation agencies? ✓ Where can you find companies that translate book from English to Bangla? ✓ Where can I get translating services for Bangla documents? ✓ What is the rate of Bangla video transcription? ✓ Where can you find a Bangla audio translator for speech to text? ✓ What company provides Bangla translation for a diploma and a certificate? Quick Transcription Service is a leading service provider in Bangla Translation.Clients can just upload files in their own format through the following link, UPLOAD FILES that needs to be translated to Bangla and we will do the rest.